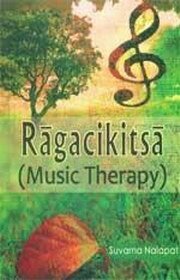 This book deals with the philosophical, historical, descriptive and experimental aspects of music therapy. Taking a close look at the eastern and the western perceptions of music therapy, it views the Margi tradition of music and its origin in the Veda. Further explaining the archetypal, historical and living singer effect, with special focus on Rama, Krishna, Tyagaraja, Meera, Yesudas and Subbalaxmi, it discusses at length the origins of the desi (local) tradition of India with Matanga's Brihaddesi. Also, it presents an inter-disciplinary comparative study of both modern and ancient concepts of astronomy, Yoga, psychology, medicine, music, philosophy and cultural heritage. Dr. Suvarna Nalapat, an MD in pathology, has a vast experience of 32 years of teaching undergraduate and postgraduate classes. She has Professor and Head of Department of Pathology at Amrita Institute of Medical Sciences and Research Centre, Kochi; Consultant Histopathologist at Endocrinology and Immunology Laboratory, Kochi; and Associate Professor of Pathology at Kerala Government Medical College, Calicut. Besides a large number of research papers published in national and international journals of repute, Dr. Nalapat has to her credit many acclaimed books including Amrita Jyoti: Comparative Study of Religions, A Rediscovery of India through the panchasidhantika of Varahamihira, Mudra: A Literary Criticism of Ujjainy, A Literary Criticism of Chakravalam, Padmasindhu, Sudhasindhu, Brahmasindhu, Paatheyam, and Without a Stumble: A Book on the Spirituality of Music. Also, she has participated in many a seminars of conferences and delivered lectures on Music therapy. Bibliographic Information: xxi+264p., Tables; Figures; Index; 24cm.